Every teacher deserves a special treat on Valentine's Day. It's tradition to give the teacher an apple. I thought maybe they were sick of regular apples and were ready for something sweeter. 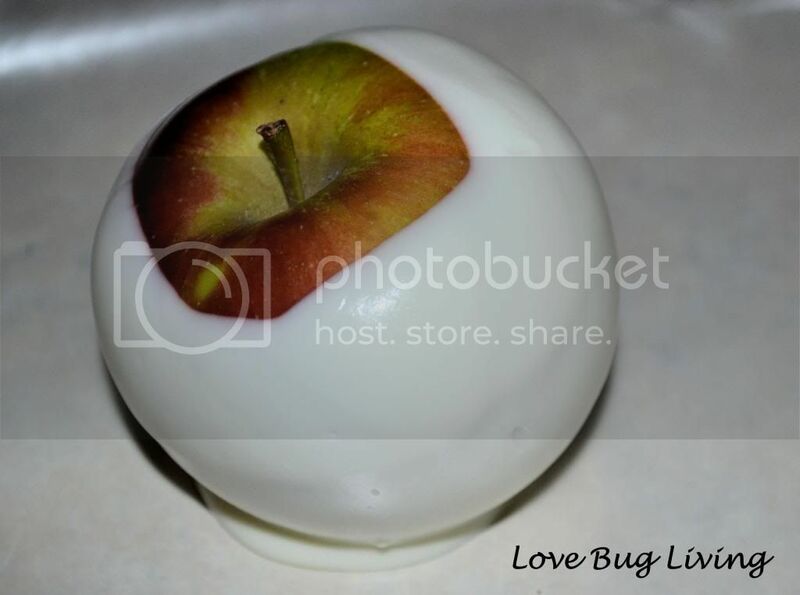 How about Chocolate Covered Apples! These yummy apples are quick and easy to make. You will need almond bark and apples. 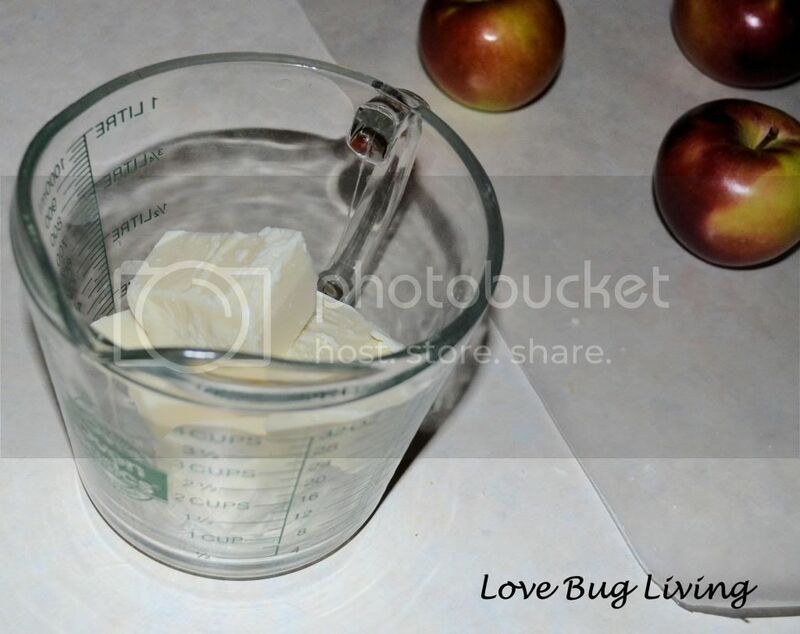 Be sure your apples are room temperature, washed and dried. 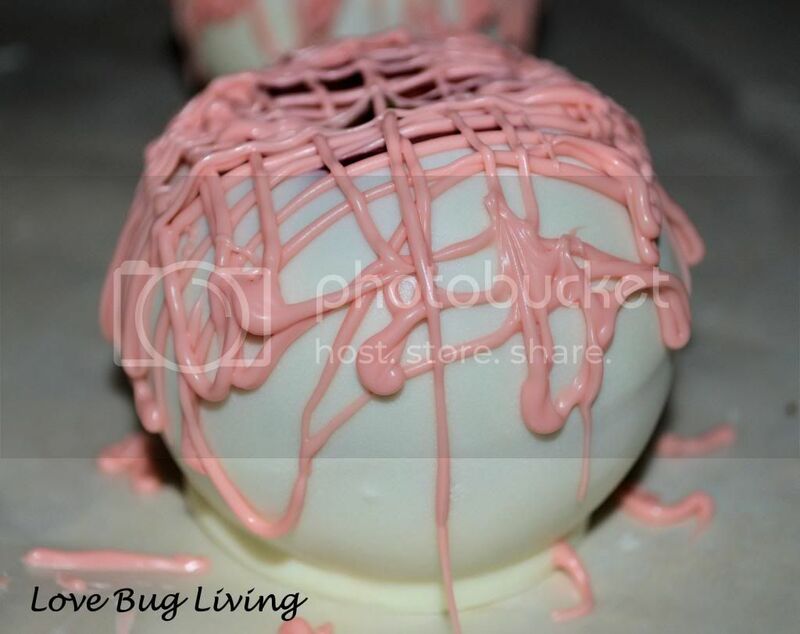 I used the white chocolate so that it would have that pretty Valentine's Day look. Place your almond bark in a microwaveable bowl that has higher sides. Melt your chocolate according to the directions on the package. Holding your apple by its stem, dip it in your melted chocolate. Roll it from side to side so that it gets covered on all sides. Pull your apple straight out and place it on wax paper to cool. I wanted to add a bit of pink chocolate to make the apple more festive. 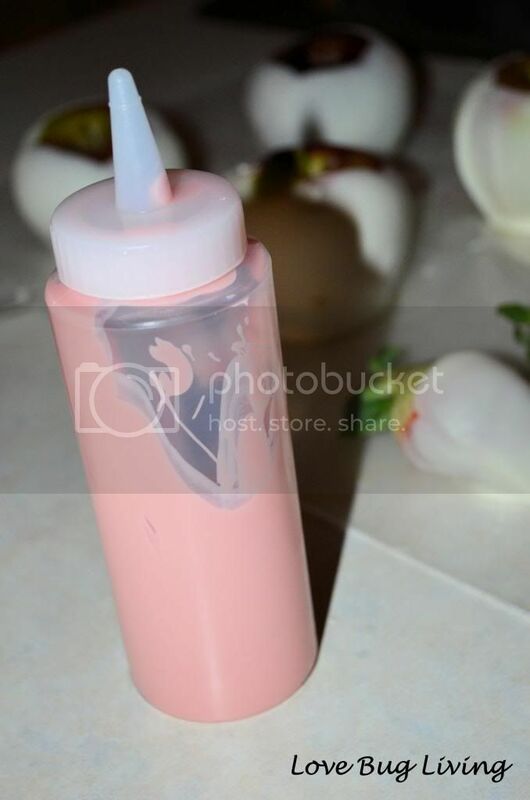 I melted some pink candy melts and placed them in a squirt bottle. These are sold in the candy making section at JoAnn's or wherever you get your supplies. 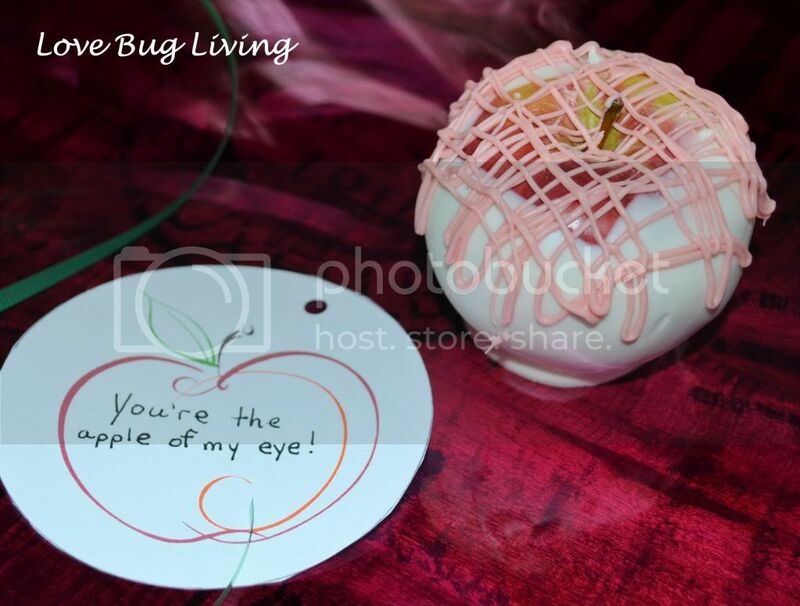 The squirt bottle makes it so much easier to add fun swirls and ribbons on the apple. 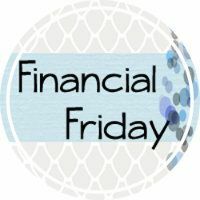 Definitely worth the couple of dollars they cost. I could never get this look without it. 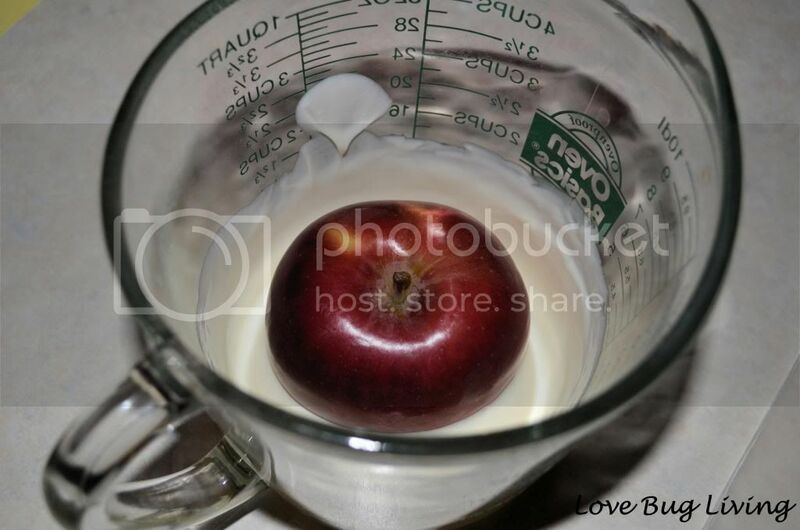 Don't you hate it when you have leftover chocolate left in your bowl after dipping your apple? Who wants to waste yummy chocolate? I went looking in my pantry for something to coat with it. I found a box of Rice Krispies. I poured it in the bowl and stirred until they were coated. 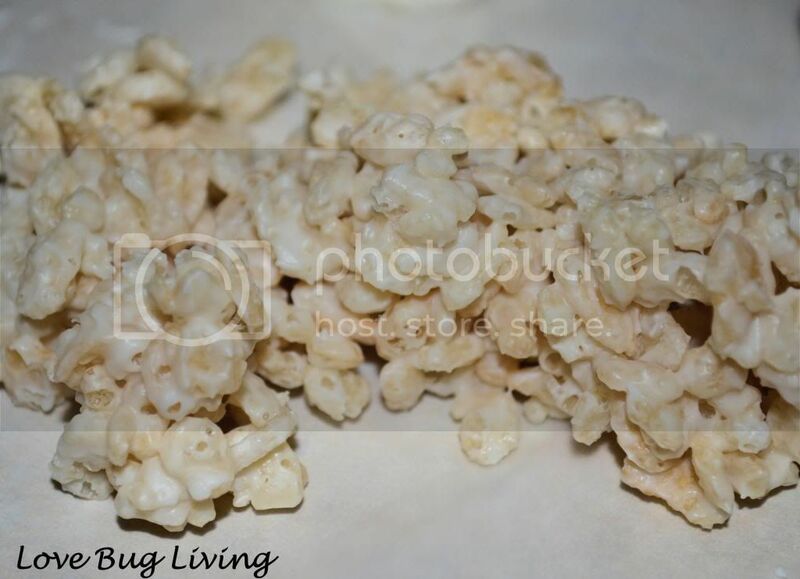 Place them on your wax paper in small bunches and let cool. They are so yummy! I also had enough chocolate to dip a few strawberries for the family as well. After your apple is cool, all that is left is to wrap your apple. 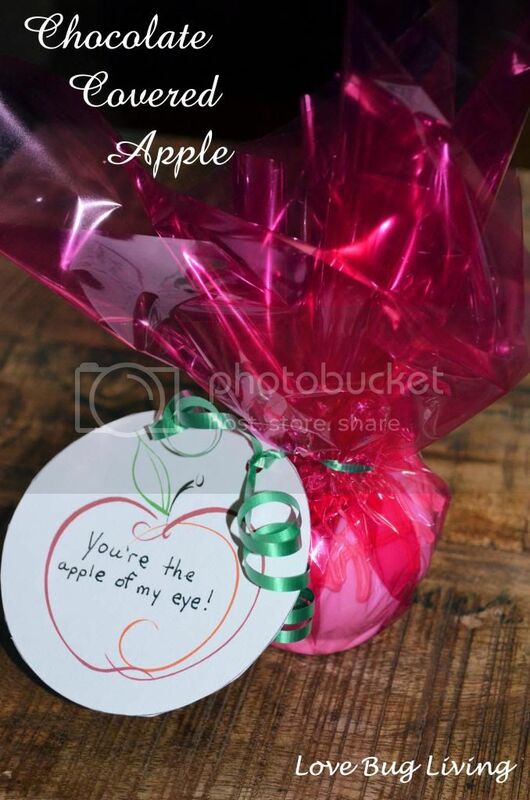 I used cellophane to wrap my apple and ribbon to attach a Valentine note saying You're the Apple of my Eye! Hope our teachers like their apples! Happy Valentine's Day!